In early December 2017, a new round of talks led by the East African Community (EAC) was initiated in Arusha, Tanzania, with the aim of reaching an agreement to end the Burundian crisis. The country has, since early 2015, experienced political instability marked by violent clashes between government and opposition forces as well as the suppression of civil society, media and opposition groups – following President Pierre Nkurunziza’s decision to seek a third term in office. However the mediation process still shows signs of being highly fractured and is yet to achieve tangible results. It has highlighted the EAC’s weaknesses in responding to conflicts, and questions its capacity to design viable mediation processes and its capability to get member states to commit to peace efforts. The current talks are aimed at mediating and promoting dialogue among Burundians in order to find a solution to the crisis that has now lasted more than three years. Over this period, Nkurunziza’s government has shown an increasingly intransigent and uncooperative position towards resolving the crisis. The EAC’s attempt to mediate the conflict follows extensive earlier initiatives by the African Union (AU). Working at times in concert with the Common Market for Eastern and Southern Africa (COMESA), the International Conference on the Great Lakes Region (ICGLR) and the AU, the EAC has emerged as the primary de facto regional actor. Given that it has had relatively little historic mediation and conflict prevention experience, the reasoning behind this development must be more deeply considered. Some answers can be found in the early initiative of regional leaders, particularly Ugandan President Yoweri Musuveni, who may have acted out of interest with regard to their own national security. A common concern would be the potential spill-over effects of the Burundian crisis, especially in relation to the historical influx of Burundian refugees to neighbouring countries – and the consequent potential for greater regional instability. Regardless, several EAC initiatives have tried to establish a formal mediation process building on a number of previous conflict prevention efforts. For instance in 2014, the EAC and COMESA jointly deployed an AU Panel of the Wise mission, which consulted with various stakeholders in Burundi over a period of three months. This was followed by the submission of a legal opinion by the EAC Attorneys General to the EAC summit in 2015 which found Nkurunziza’s bid for a third term unconstitutional. Following this, Nkurunziza rejected Museveni’s 10-point exit plan. This resulted in Museveni withdrawing from the process, and Benjamin Mkapa, Tanzania’s former president, assuming a leading role. Is the East African Community fit for purpose when it comes to mediation and conflict prevention? Another issue that has soured regional relations – and has led to Burundi’s subsequent scepticism of the EAC – is that the 2015 coup that occurred shortly after the country’s elections, took place during an EAC summit in Dar es Salaam, Tanzania. The EAC was already divided on how to deal with Nkurunziza – the non-attendance of various EAC summits by Rwanda, Kenya and Uganda was indicative of this. The EAC was criticised for its lack of cohesion in responding to the 2015 coup. Also, despite the fact that leaders like Museveni and Mkapa have attempted to engage throughout the crisis, these efforts have been largely undermined by insufficient consensus and initiative from EAC member states to effectively implement some of the regional body’s key decisions. More recently, in April 2018, the United Nations Security Council expressed concern over the lack of progress made by the EAC-led inter-Burundian dialogue. It called on key Burundian stakeholders to renew their commitment to the process by actively and unconditionally engaging in the process. 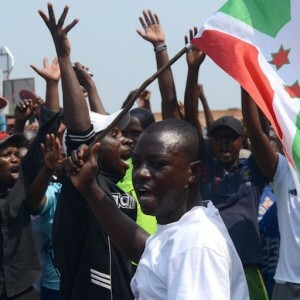 Despite this, however, reports suggest that the Burundian government won’t engage at all before the country’s constitutional referendum, expected to be held on 17 May. The EAC’s recent engagements concerning Burundi highlight the growing significance of Regional Economic Communities in conflict prevention initiatives, while marking a new phase for the EAC in mediation processes. But they also show how conflict prevention efforts (in line with the principle of regional subsidiarity) have to be better designed in order to promote greater political will, consensus and buy-in of the mediation process by the parties. The lack of capacity and strategic coherence displayed in and among EAC member states in initiating and sustaining an effective mediation process for Burundi has made this clear. If the EAC is to continue engaging in mediation processes, internal reflection is important. This should critically identify how its own structures, approaches and internal mechanisms for reaching consensus can effectively assist countries in preventing conflict and sustaining peace. More importantly, with so many challenges and contradictions, a key question is whether the EAC is in fact fit for purpose to play such a central role in developing conflict prevention initiatives. This article is adapted from an article first published on the Conflict Prevention Innovation website, a partnership between the ISS and the Igarapé Institute.